On July 25, 2015 the Grey County Federation of Agriculture in conjunction with the Egremont Proton Federation of Agriculture hosted a summer social and farm tour in the Township of Southgate. 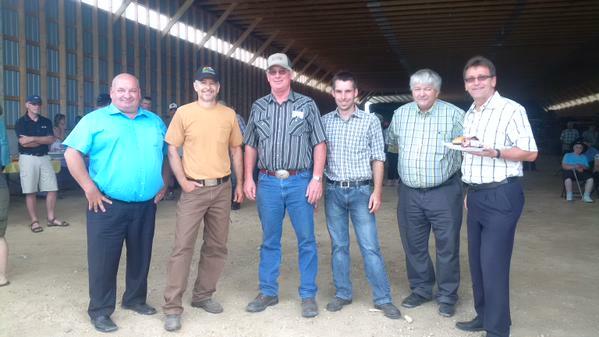 The tour visited Hensall District Co-op at their Swinton Park Elevator, Henria Holsteins and Pallister Farms a beef feedlot. We had 150 people enjoy a BBQ provided by local 4-H members. The crowd was entertained by Cara Smith Country before departing on the buses to the various farm locations.